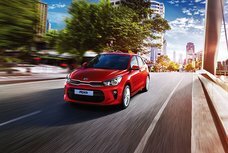 In order to help Filipino car buyers keep up with latest Kia Picanto price in the Philippines, Philkotse.com provides regularly updated Kia Picanto price list as follows. Please note that these are prices listed in some showrooms and should serve as reference only. For more accurate pricing information, please refer to the Kia Picanto for sale section. 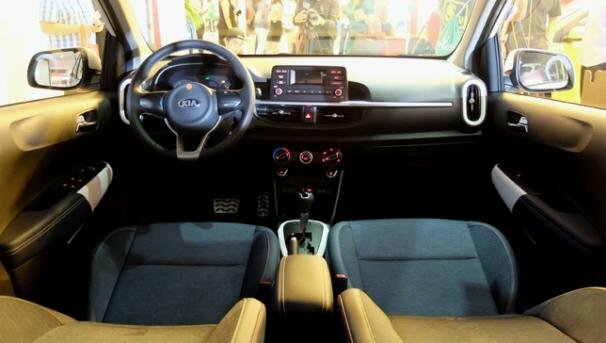 The third-generation Kia Picanto 2019 officially forayed into the Philippine market on August 08, 2017. 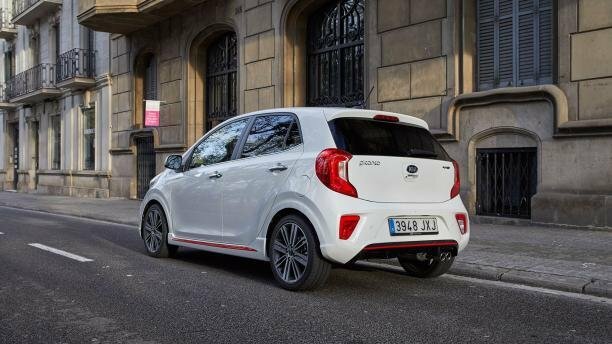 Featuring a more charming exterior, a refined interior and especially, the addition of a new range-topping GT Line version, the new Picanto has made hatchback lovers throughout the country set their heart on it. 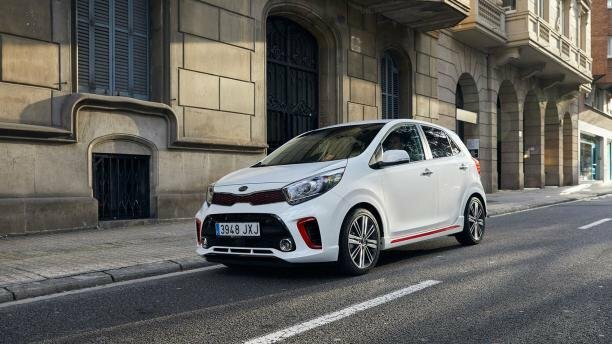 Point by point, the refreshed Picanto outside is decked with tiger-nose front grille flanked by new more aggressive headlights, exuding a sportier look. The taillights, at the same time, are redesigned as well to look fresher. Stepping inside, we will see a more modern interior ambience which is fitted with a horizontal design, boosting more space for head-, leg-, and shoulder room. Under the hood is still a 1.0L 3-cylinder coming paired to a 5-speed manual transmission alongside a 1.2L 4-cylinder with a 4-speed AT. 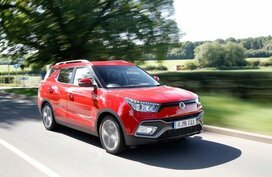 What’s more, thanks to tuned chassis, the balance of driving experience is significant improved. The final aspect to discuss is the price. 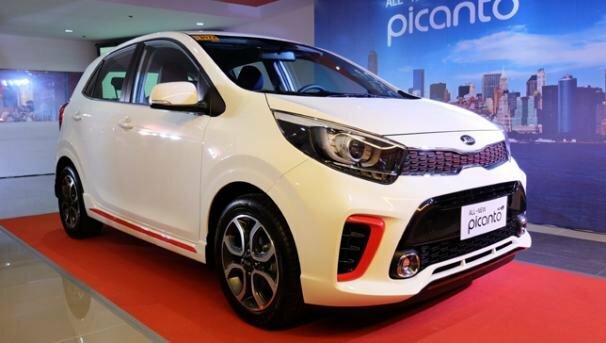 For 2019, the Kia Picanto price records a marginal increase from P10,000 to P11,000. Frankly speaking, this rise in price is not a problem at all. 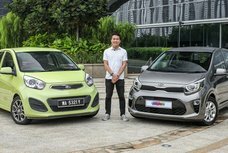 The price tag of the Kia Picanto 1.0 SL variants soared to P635,000 and P696,000, equivalent to the increases of P10,000 and P11,000 for the MT and AT models, respectively. In the main, this is almost inconsiderable for those who’re into the hatch. The GT-Line is a newly-introduced variant. With such up-scale features, the 1.0 GT-Line is sold at P798,000 for 2019, which is P11,000 more expensive than what of 2018. 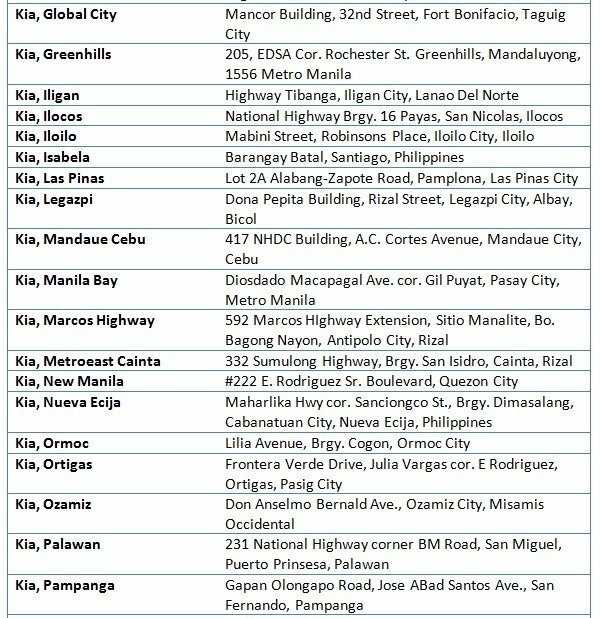 Kia PH is expanding to better serve you with a dense network of dealerships across the Philippines. 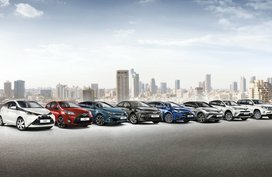 Search for the nearest dealer to you and drive home your very own Kia vehicle. 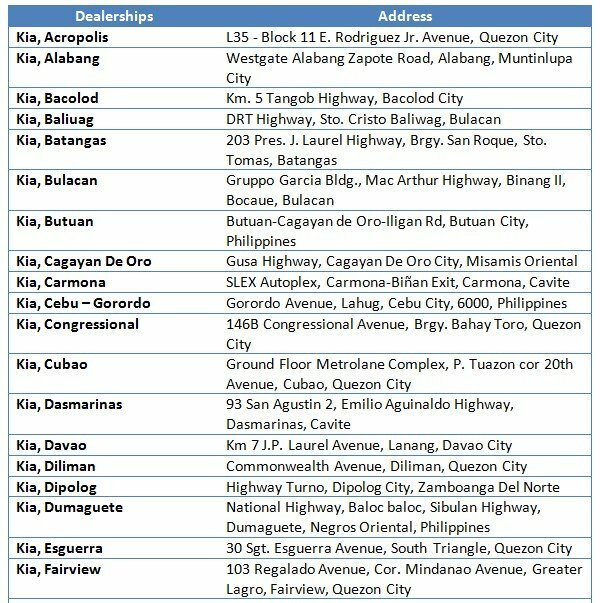 Below is the list of Kia dealerships in the Philippines accompanied with address details. KIA Motors Corporation was born in 1944, initially as a bicycles and steel tubing manufacturer. During the 1950s, the company focused fully on bicycles production and then entered truck manufacturing industry in the 1960s. Not until the 1970s did it start to build the very first automobiles. In the 1990s, due to the impact of Asian Financial crisis, Kia faced up with bankruptcy but then was rescued by Hyundai Motor Company which owned 51% of Kia’s shares. 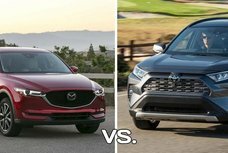 Since then, both automakers have gained a great deal of fruitful achievements in the motoring industry, not only in their domestic market but on a global scale. 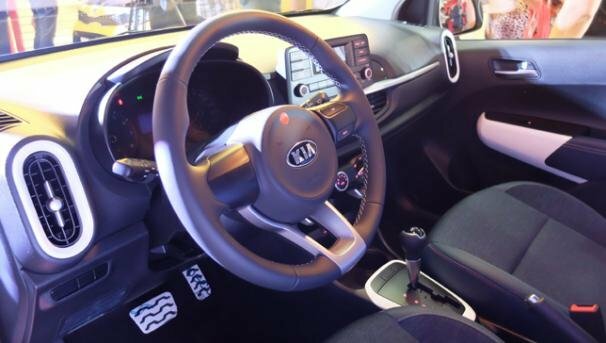 With such a long history of development, KIA Motors is known as the oldest automotive manufacturer in South Korea. 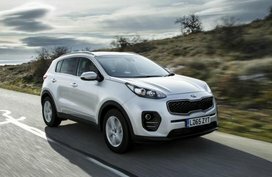 Kia started its operation in our country in 1994. 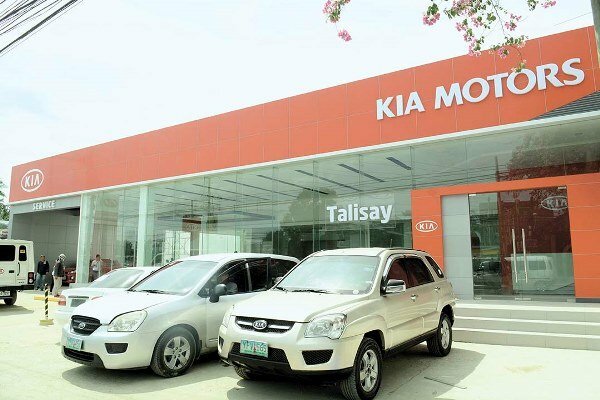 Thanks to the support from Columbian Autocar Corporation (CAC) – the exclusive distributor of Kia Motors in the Philippines, the Korean automaker has quickly become a familiar brand to many Pinoy customers with the sales success of the Kia Pride. 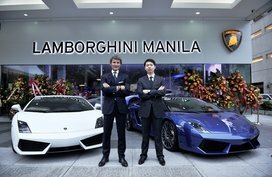 Nowadays, CAC has actively expanded its network throughout the Philippines with 10 sales outlets and 32 dealerships, providing local car buyers with high-quality vehicles at affordable price ranges, including the Picanto, Sportage, Rio, Carens, Optima, Carnival, Soul and the Sorento.